When a patch-like structure is attached upon the thermoelectric device, a temperature difference occurs between the skin and the structure, imitating the sweat glands structure. This core technology is called "biomimetic heat sink." It increases the output of the thermoelectric module by five times that of conventional products, maximizing the energy efficiency. It has been confirmed that when six devices are modularized in a bundle, they can generate up to a commercialization level of 2~3 milliwatts (mW). 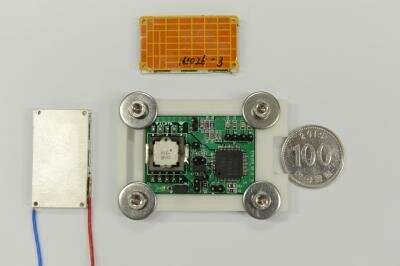 Unlike disposable batteries, they can continuously generate energy from the human body temperature. 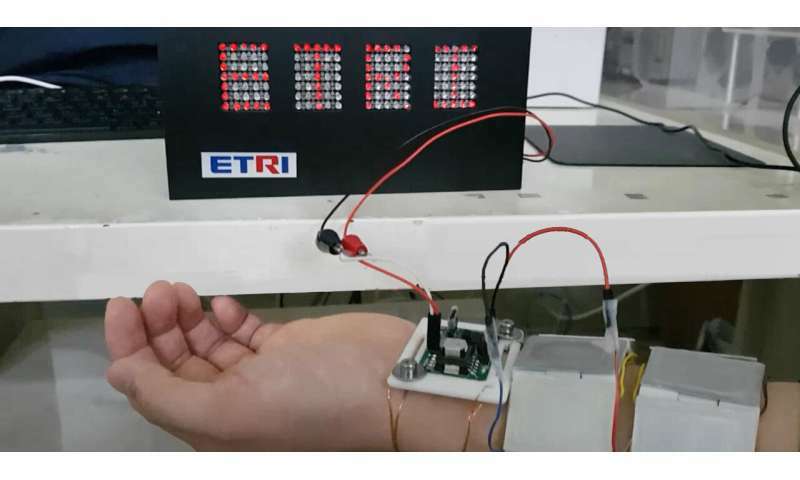 In fact, the research team succeeded in lighting the letters "ETRI" on the LED display board by boosting the voltage generated from the six devices attached to the wrist of an adult without any batteries.